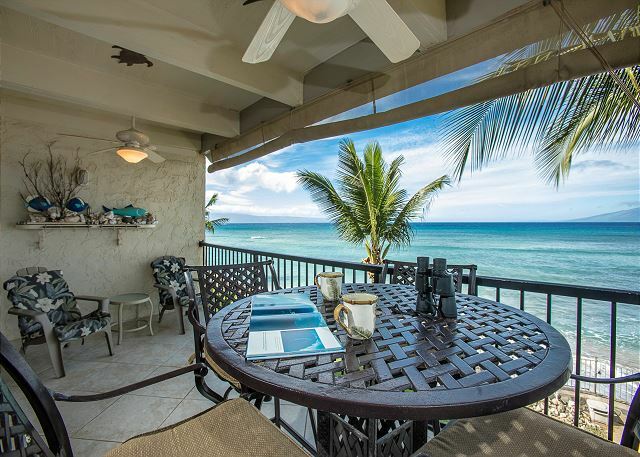 C206 is the corner unit with both Oceanfront and Beach Cove views. The side of the building being opened up to provide side views on both lanais and interior floors. 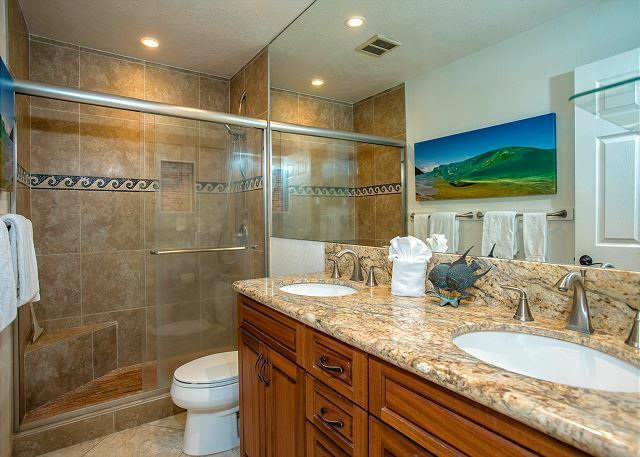 It is the closest two bedrooms unit to beach access. New MBR mattress and MBR Lanai decking. 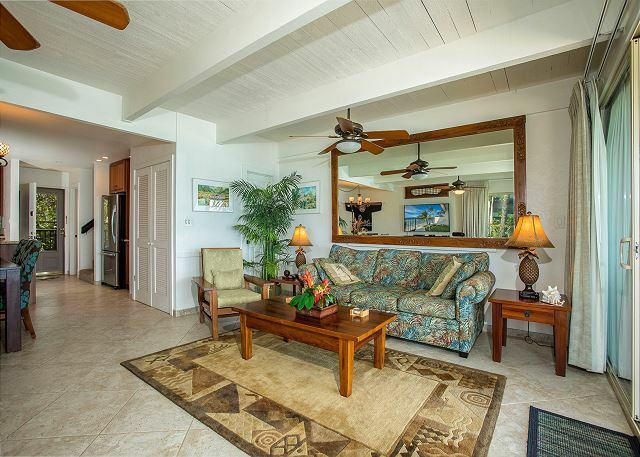 New exterior fans on lower lanai, and new cushions on all its exterior furniture, new sofa bed, 65” TV and reading lamps. 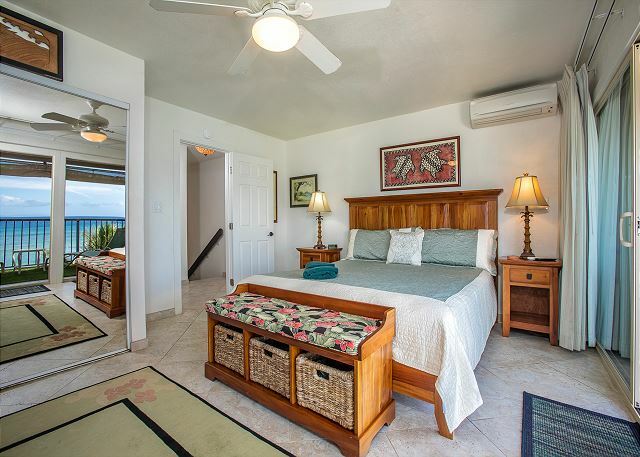 The Townhouse style will accommodate from 1 to 6 guests comfortably including an ocean front master with a cal king, a guest bedroom with two twins or together as a king. 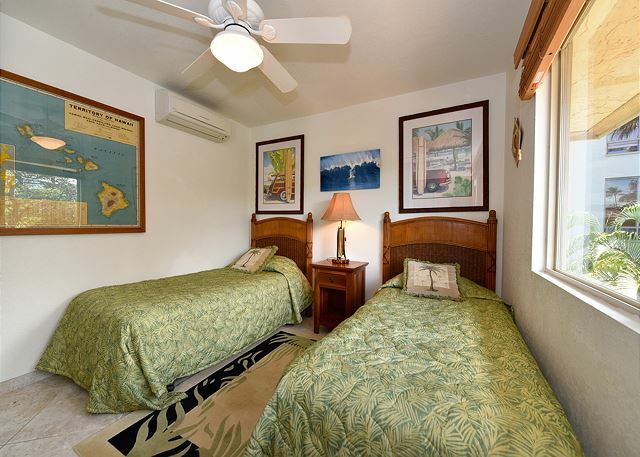 All bedrooms are appointed with A/C and TV. There is also a high-end queen sleeper sofa. The kitchen is well appointed, the living room includes a 65" Flat Screen, CD, blueray, internet, and captive original artwork through out. This particular unit comes with 2 bedrooms and 2 full baths, perfect for 1 to 3 couples or a family of 3-6 and everything in-between. 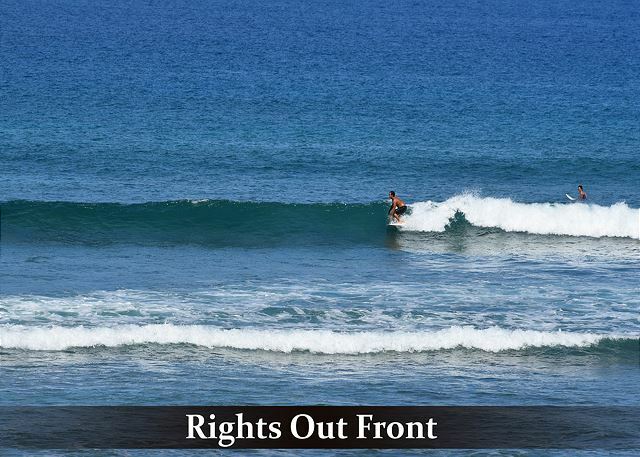 Right in front is the warm Pacific Ocean waiting for you to sunbathe, swim, surf, snorkel, or scuba dive. 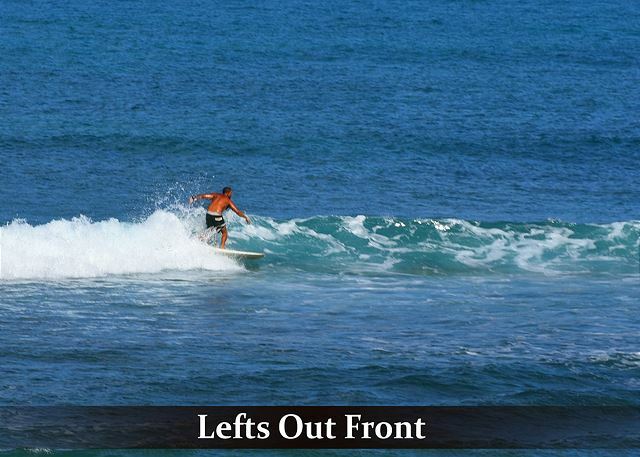 We have both sand bottom and reefs to enjoy. Enjoy the beautiful sharp colors of the morning sunlight as it plays across the mountains on the islands of Molokai and Lanai. 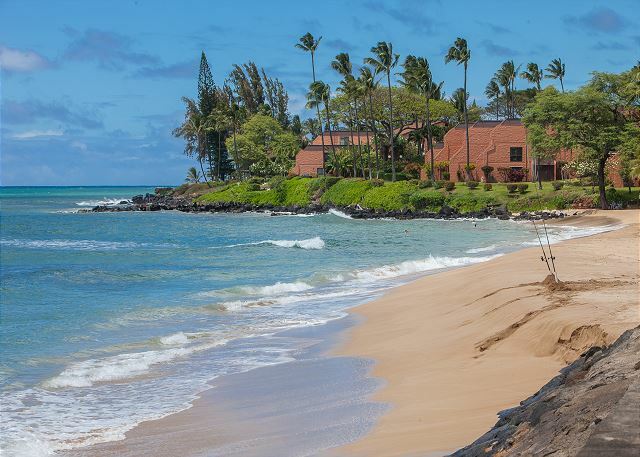 You'll love the romantic and spectacular Hawaiian sunsets and moon rises, dancing across the water at the crossroads of the Auau and Pailolo channels. Watch as seasonal humpback whales and their young or giant green turtles swim past your two lanais, not to mention a near daily parade of colorful sailboats, outriggers, SUPs and surfers. 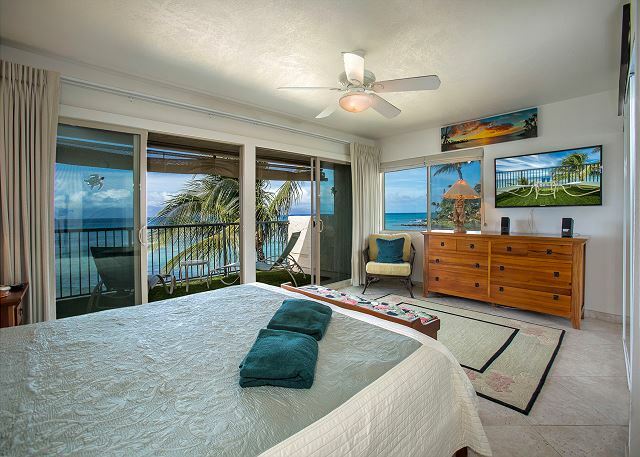 In the evening, you'll feel the cool trade winds as you drift off to sleep listening to the gentle surf and occasional soft rustle of palm fronds. 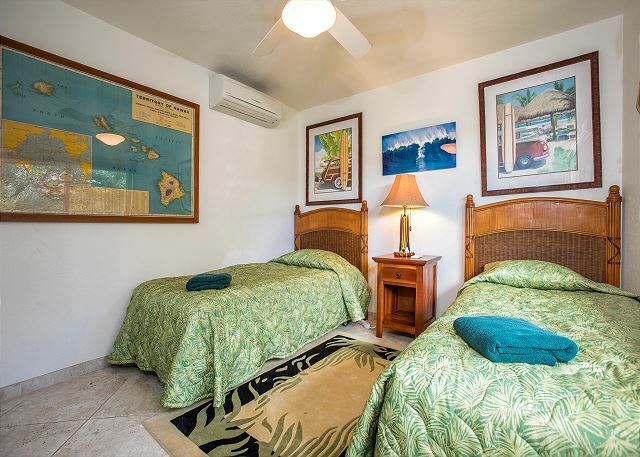 For a most memorable vacation, come stay with us at C206 Lokelani! The 1350 sq. 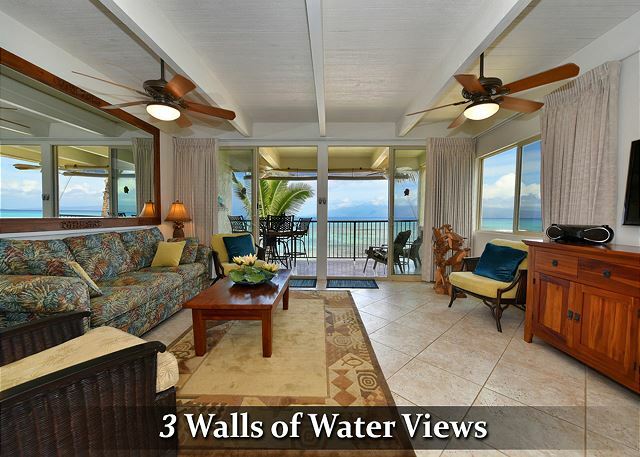 ft., Two lanais, two bedrooms, two baths condo is the ultimate in beach living. You choose to visit nearby quality restaurants or prepare your own meals in a well appointed kitchen. On the lower level, you will find the kitchen, living room, lanai, dining room, full bath, and laundry washer and dryer for your convenience. 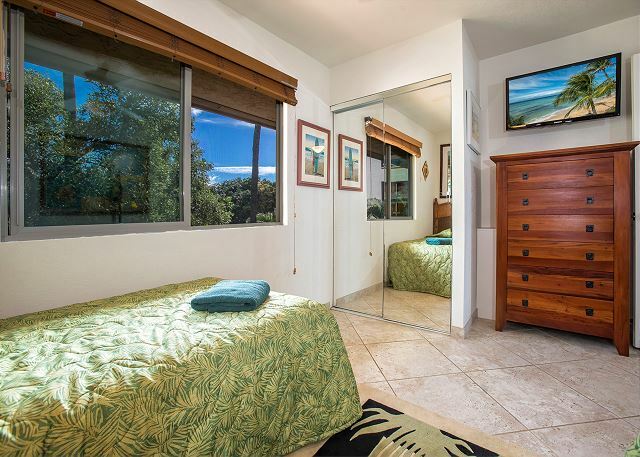 Our spacious master bedroom with lanai, guest bedroom, and a full bath are located on the upper level. After a day at the beach, you can take a dip in our sparkling pool or just relax on the lanai with a cool drink and enjoy the fragrant tropical flowers and the gentle trade winds. The ocean side barbecues and picnic tables, located on the well-manicured grounds, provide a perfect way to end the day with spectacular sunset dining. Bookings are handled on-line or if you prefer by our on-site Lokelani management team. If our unit is not available for your dates, please send inquiry anyway as there may be other Lokelani condos available. Beautiful condo and great condo complex - small and quiet. Very nice pool, and access to beach. Only negative was having to use a different condo's wifi because our condo's did not work, and a bedroom blind that also was inoperable during our stay. Neither was fixed while staying there. Thank you for staying with us. I am sorry about the issues with the internet. Unfortunately the internet was not resolved during your stay as it is a Spectrum Cable issue. The blind has since been taken care of. We are sorry we could not get that repaired prior to your departure. We had a great stay at this condo. The ocean views were amazing. The apartment is centrally located and has access to a small beach. The rental itself seems very new and nice but there were a lot of small ants crawling around the house, especially in the bathrooms. Also, our wifi did not work while we were there. It would be nice to have a non-emergency line for contacting the rental agency over the weekends, since the office is only open M-F from 8-3:30. Overall we had a great stay and the views and sounds of the ocean were fantastic. Thank you for staying with us. The rental manager is available by phone on the weekends for internet issues ETC. the issue has been resolved and we deemed a Cable company issue. Absolutely beautiful inside and out. Thank you for staying with us. We hope you return again soon. Glad we picked this one! The corner location is fantastic and it’s big and roomy. The furnishings are updated and tasteful. It’s eady to see that the owners take pride in this unit. You can’t get anymore ocean front then this. 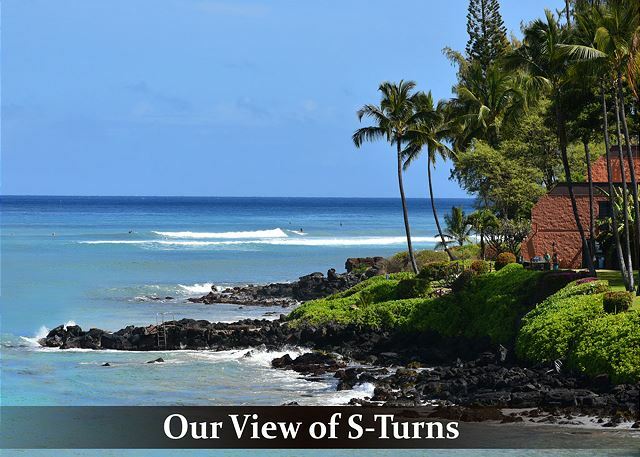 Amazing views of the beautiful Hawaiian waters and neighboring islands and turtles eating from the rocks and coming onto the beach to soak in the abundant west side sunshine. All the staff is amazing! 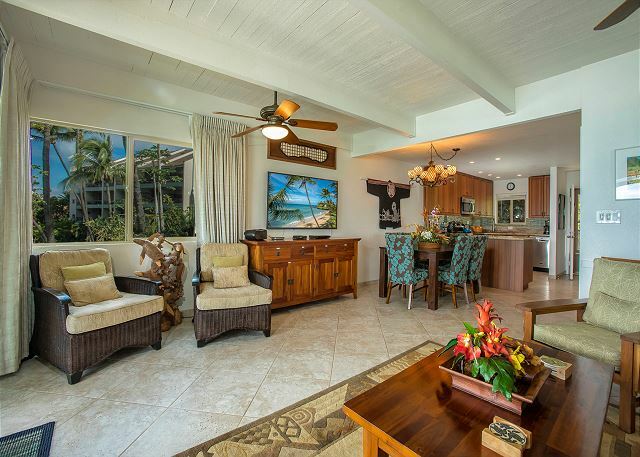 And we enjoy the double lanai’s and other great features of the rooms. Thanks to everyone at Lokelani, see you soon. I could not believe how lucky we were to have found this wonderful condo. I'll be honest when we first pulled up to the condos I felt a little worried after seeing such large buildings and thinking we were missing out on a huge property with lots of people. Couldn't have been more wrong. This smaller building makes you feel at "home". The minute you walk in through the door you are greeted by wall to wall floor to ceiling glass that overlooks the amazing ocean. You have arrived in Maui!! The condo itself has everything you will need for your stay and is very comfortable. Bedding could use some updating for my taste, but I realize that they use a service and sheets may not be their newest. The ocean front property is absolutely amazing and we loved enjoying the ocean every day. We saw turtles every day. No need to go anywhere on a snorkeling trip. Just swim outside your condo and see them every day. Liz the property manager was absolutely amazing. She was there to answer all our questions and was always willing to help. Mahalo For staying with us. We look froward to your return. This location is awesome. Can't say enough good things about the accommodations and the access to a great private beach. We rented Loelani-C206 for the last week of June 2018...oh how we wish we could do this every year. The View is totally amazing, the condo is stocked with everything we needed and the service from the office to get our reservation set was great. These folks have great customer service skills and a great property to offer. 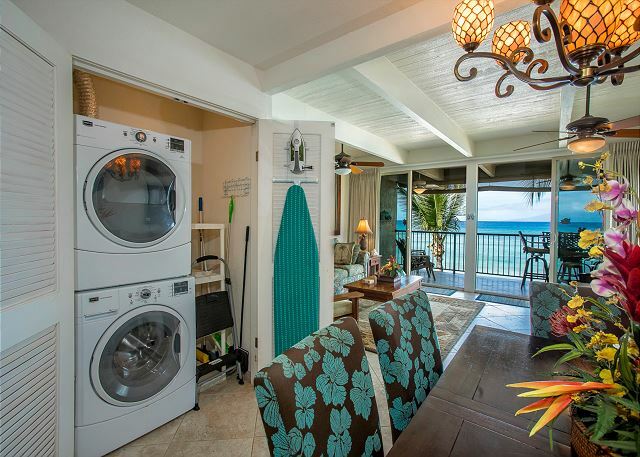 Mahalo for staying with us again and taking the time to review Lokelani C-206. Looking forward to your return. My wife and I have visited Lokelani on Maui for the past 3 years for our wedding anniversary. 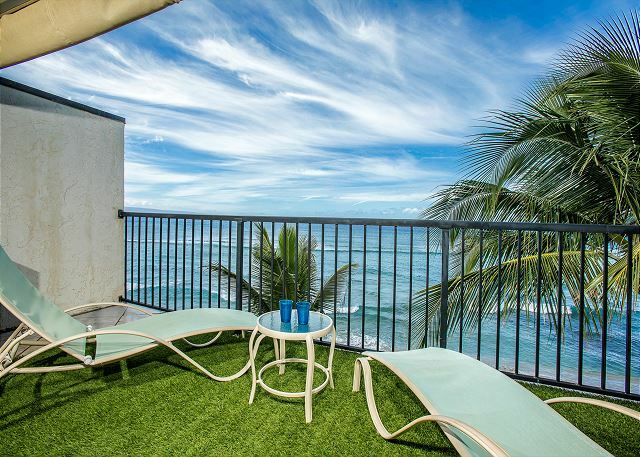 We really like the ocean front view from our 2nd and 3rd floor lanai’s in unit C206. 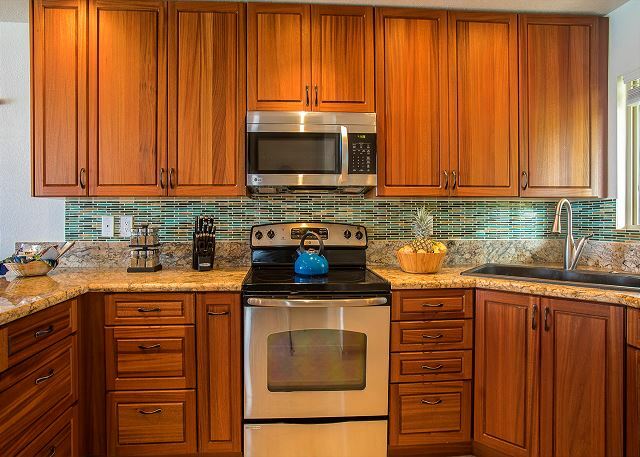 The condo is well furnished with Koa wood furniture and cabinets and tile flooring throughout. The property is clean and quiet. All you hear is the surf. The manager provided all the information needed for our stay and was responsive when we had a question. I would recommend this property. Thank you for staying with us again and we look forward to your return. C206 great views & lots of space! We enjoyed our well equipped unit. The updates are lovely & oh the views & privacy! My three adult children and I had a wonderful Maui vacation in March 2018 and Lokelani was a huge part of what made our stay so special. We stayed in C206. We loved being on the beach, with so many windows, and hearing the waves all through the day. The practically private beach was lovely. The sea turtles such a treat. We loved all the space of this unit, the well stocked kitchen, the games cupboard, TV and equipment, large master bedroom, laundry facilities, etc. were perfect. There was not a thing we found lacking. The price made our trip affordable. I hope to be back to Maui again soon and would definitely want to stay at Lokelani the next time. BTW - great staff throughout the booking process, before our trip and during our stay! Thank you for staying with us. Please do return soon. We had a wonderful time. The unit had everything we needed. Bonus was having a washer & dryer in the unit. Great views of the sunset and so close to the beach. What an amazing trip. 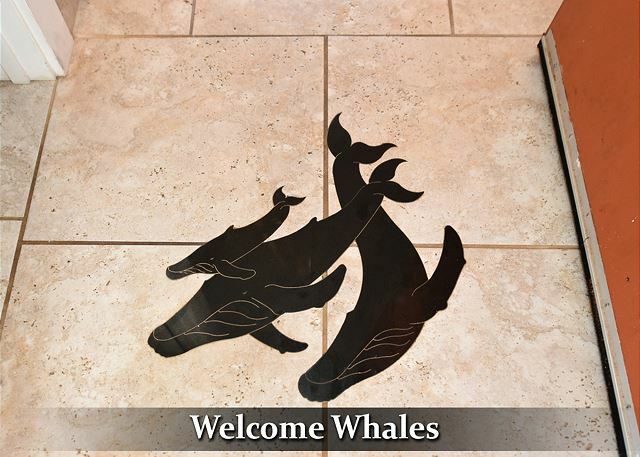 Condo is right off a private beach inVader with amazing sea creatures. A turtle haven. We rented mopeds from down the street for 55 bucks for 24hrs was an absolute blast. We were married on the grounds. I will be back soon. What a view! Ideal location! We were delighted with Lokelani C206 - what a view! The condo was clean, the management staff were very helpful and pleasant to deal with - absolutely no complaints! The complex is in a nice, quiet location, with a small beach shared by only a few properties - it was ideal. We hope to return some day. Thank you so much for being our guest. I do hope you return again someday. Perfect! 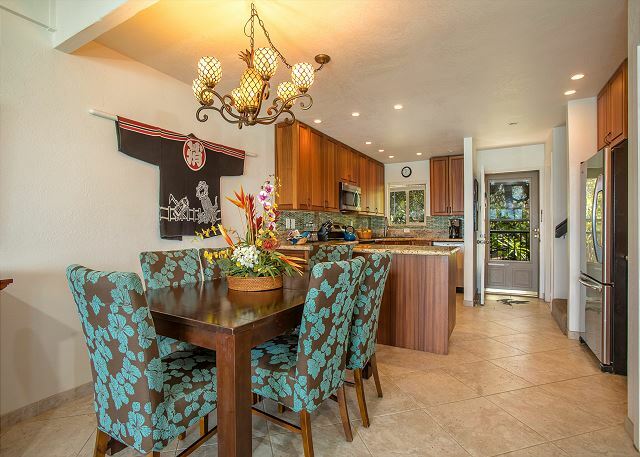 We loved the condo, the area and the lanai's. We felt right at home. It was clean, well equipped and air in the rooms was perfect for sleeping. We would recommend, return and will speak highly. The place to stay in Maui!! We have stayed at the Lokelani on two occasions. We are a family of 5 and stayed in the 2 Bedroom suite. They are a great layout and the views are exceptional. Our first visit was in a suite that needed upgrading desperately. So for our second vacation we booked an upgraded suite with air conditioning. We were excited to have a more comfortable stay but honestly it wasn't much better. The kitchen was more functional and better layout but the a/c in our kids room didn't work. As well as various fans that had either a burnt out light or the fan itself did t work. Shower faucets were difficult to operate and the entire suite needed a full clean. I spent part of a day cleaning my kids room. The floor was tiled but under the beds was filthy! And the blankets are all oversized so would drape down to the dirty floor. Behind all the furniture in all bedrooms and living room were full of dust bunnies. The unit didn't have any real cleaning supplies. I did buy a broom but could've used a mop as the whole unit was tiled. So besides the fact that this unit needs to be completely scrubbed clean and a few things to be fixed, it has so much potential. The location is fantastic, the grounds are upkept very well and the pool is a nice change from the salty ocean. The view from the balcony kept us from dining out every night. We much enjoyed having dinner and a glass of wine on the balcony watching for whales and enjoying the sunset! We are sorry for your inconvenience and that we did not earn 5 stars for your stay. It is also unfortunate we were not informed of any of these issues during your stay. That way the issue could have been resolved for you and for the next guests. - The AC remote for the kids room was back ordered at the time. The AC is not broken and can be operated via the working AC remote for the other bedroom or manually (pushing the buttons) on the unit. - Dust bunnies should have been cleaned by housekeeping prior to your arrival. We have addressed this unacceptable performance with housekeeping. - Fan/light switch has been replaced. - The difficult faucets to operate have all been replaced. Thank you for taking your time to make us aware of these issues, which are resolved. The views were absolutely breathtaking, even better than the pictures. We have 2 little kids and there was a playground/park only 5 min walk away. Perfect for families would definitely return! 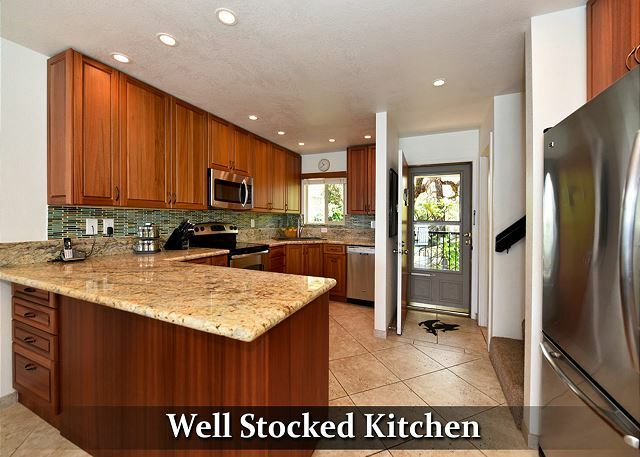 Everything was good and Liz exceeds expectations with her professional and superior customer service. Thank you for staying with us.We look forward to your return. This location was superb! The ocean was right off the lanai as advertised. The interior was modern and very clean. The owners had everything you would need for kitchen supplies in a vacation. They had travel guides for Maui, binoculars, games, areas to hang bathing suits both indoors and outdoors. They had laundry in the unit which was very handy! There were two bedrooms and a pull out couch. The phantom fans on the lanai kept the air moving which kept us comfortable in the heat. 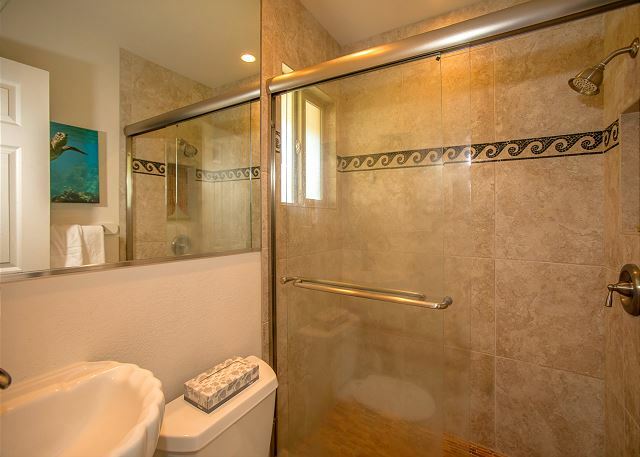 Two showers made this perfect for our family of four. We couldn't have asked for more from a vacation destination. The front desk staff was helpful and friendly. This location was perfect, only minutes away from free diving and snorkeling. We were right down the street from the farmers market where the produce was everything we hoped for from Maui. We would definitely stay at this location when we return to Maui!!! Great! Beautiful! Breathtaking! Loved the condo, location: only one complaint.. not long enough. Got married on the beach at the condo and was perfect. Thanks and thanks for recommendin the restaurant for our dinner. Delicious. This Condo Was Exactly As Described & A Lot More. Just A Wonderful Experience. Liz was extremely accommodating and proactive in making the guest experience superior. The location, unit and facility were a 6 on a scale of 1-5. We really enjoyed ourselves in this condo. The views were even better than shown in the picture and the condo itself was very nice. 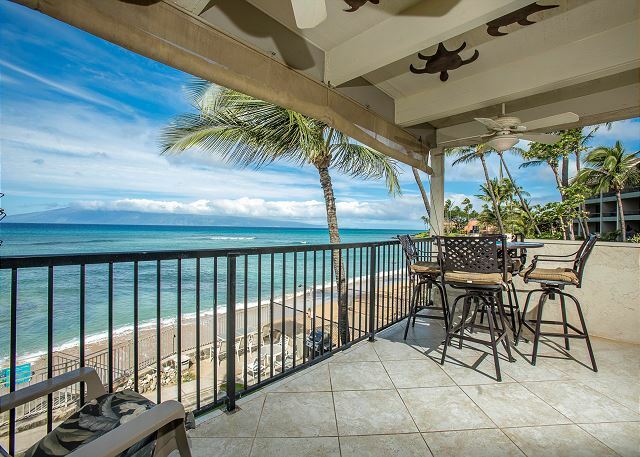 Needless to say, when we come back to Maui, we'll look to book this condo again. My family and I were planning to visit Maui for the first time and did not want to stay at a typical hotel or resort. I discovered the Lokelani Condos online and did my usual deep background research. Finding only positives, and no negatives, I booked unit C206 for its views and amenities. My (adult) children and I had a great time. The arrangements and planning went perfectly. Every need was anticipated - from keys to wifi password. Local information and a gift basket were provided on arrival. We only used the amenities lightly (TV, wifi, toaster) but there were appliances, supplies, etc for virtually every need available. 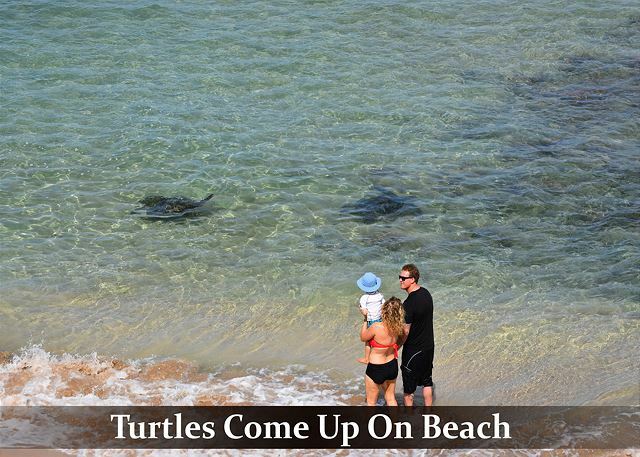 The views are fantastic, from Molokai to the turtles coming up on the beach. The entire complex was quiet, peaceful, clean and well maintained. We would gladly stay here again. 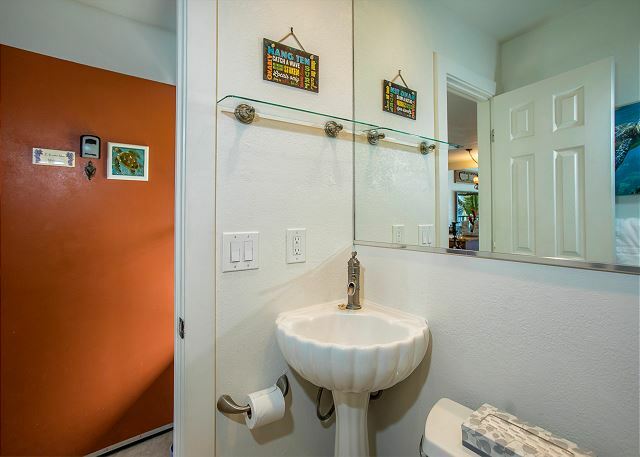 Mark H from Auburn, Ca does not recommend this vacation rental. Aloha and thank you for taking the time to review Lokelani. This summer has been the hottest in recent history for Hawaii, and we were all feeling it. Since your review, we are looking into how we can go about venting the dryers to the outside. Thanks again for your input as we are always striving to improve our beautiful condo! Hope you will choose to stay with us in the future! We are so happy here and our children said : We don't want to leave,so wonderful time! This corner condo- with two decks was fabulous. Can't find a place closer to the ocean. We watched turtles swim from the balcony. Unit was very clean. Management was very friendly and responsive. Very happy with stay. Will stay again for sure! Great facility, great location. This was our second visit and we'll be back again! We had a wonderful stay again at condo C206! We have stayed here a few years ago, right after the full remodel and never thought we could re-live such a great stay! But this time it was just as we had remembered. 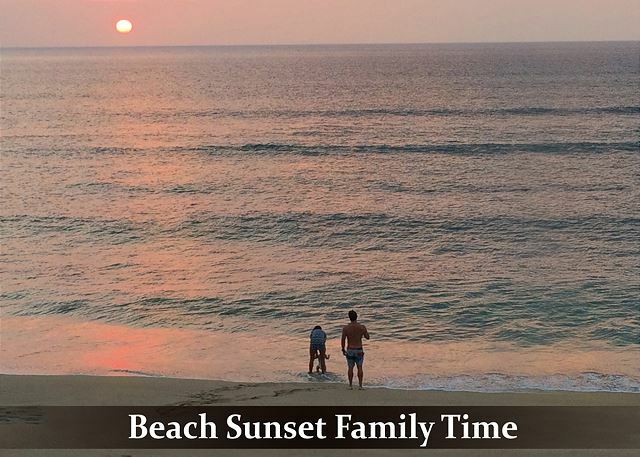 Sitting on the deck with my family , watching the sunsets, turtles swimming by and the waves crashing to the beach right below us was all perfect. 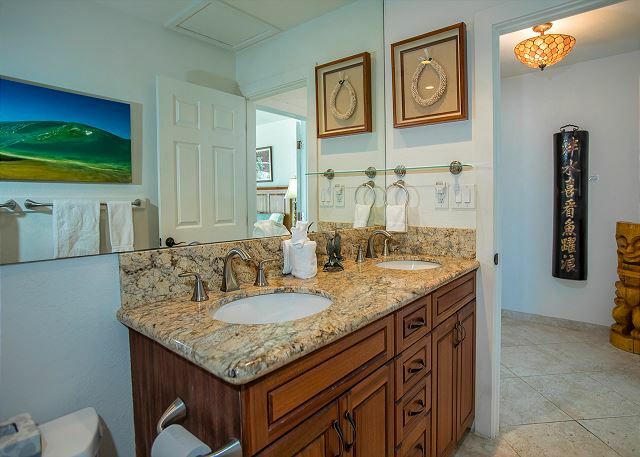 We have stayed in other resorts around Maui over the past 20 years and think these condos catch the Island Feeling better then anywhere else. Kim in the office provided anything we needed and has great ideas for your stay if you ask her. And the pool and grounds are taken care of daily by their full time staff. We own 4 vrbo 's in San Diego and know great support staff when we meet them. We will be back next year. Thanks again Kim. Thank you so much for taking the time to write a review for us and tell others about your second experience with us :) And, thanks for the kudos. I do feel very blessed to be backed by a wonderful staff, who also love Lokelani! And that is just another reason Lokelani is such a special place, it's the Aloha!! The moment we walked in and saw the ocean right in front of our deck we fell in love. It was clean, safe, and had everything we needed. Watching whales from the deck, seeing turtles right in front of the unit, enjoying the sound of the surf and the melodies of the birds. We will be back someday, somehow. This was our 2nd visit to Lokelani C206 & have already booked for next year. 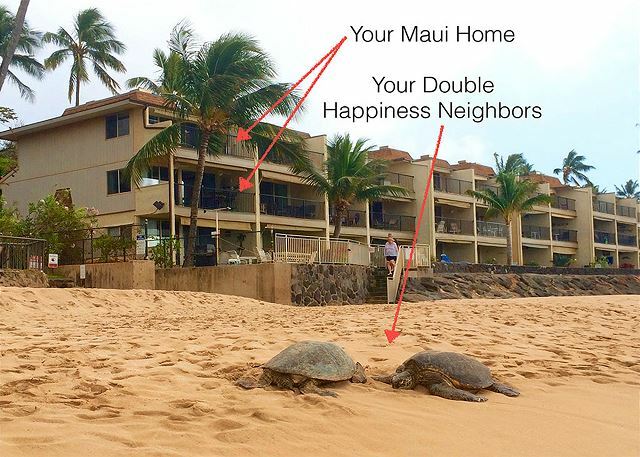 It's truly a wonderful experience that offers a peaceful serene atmosphere while watching the turtles & whales looking out over the magnificent beauty of Maui! 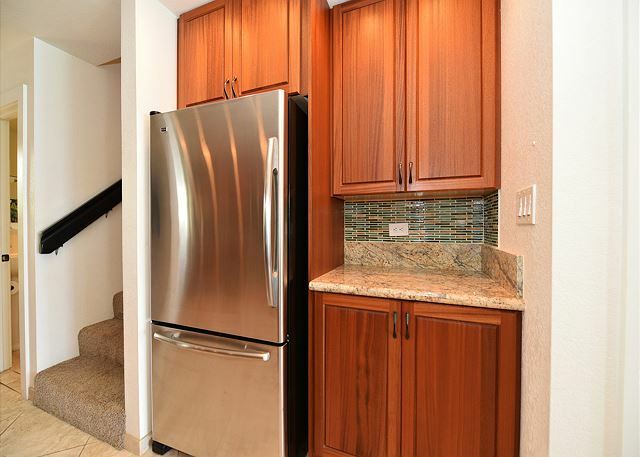 Unit C206 is very nice, updated kitchen, all the furniture is new and comfy and bathrooms are newly done also. Heaven exists at Lakeland, C-206! Just a phenomenal stay and an amazing property. Everything is so thoughtfully done. The kitchen is organized, easy, and tidy. The views from main and upper floor decks jaw-dropping, mesmerizing, and oh-so-peaceful. I was able to decompress in 24 hours...a record for me! All due to the fine hospitality at Lokelani. We are signed up for 2015 and will return again and again. Quiet, peaceful, walkable to so many things. Sigh...wish I were there right now! My wife and another couple stayed at the Lokelani -C206 condo. I can't say enough good things about our stay. The property manager and staff went over and above to make sure the accomodations were superb. It it definantly a place I would recommend for a week stay. Location is perfect for relaxing yet close enough to walk down the road for shopping. Thank you so much for making our stay a memorable one! It was fantastic. The condo and manager were great, helpful and very informative. Sea turtles right off the lani. This must be the closest condo to the water. It was great to have coffee on the lani every morning to beautiful views and watch the sunset every evening. We saw the sea turtles swimming every day. The condo was very clean and had everything we needed even a small ice chest for our day trips. We had an amazing time staying in our Lokelani condo. 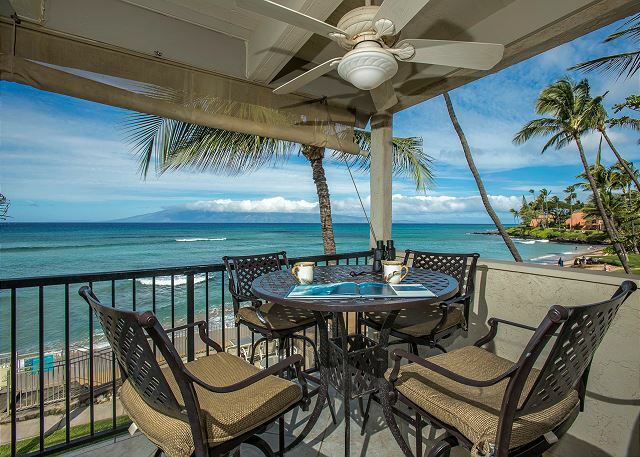 We spent many hours out on the lanai watching the surf and enjoying the scenery. The condo had everything we needed and we were able to shop at a local grocery store and pack our lunches to save on costs! Everything was lovely including the office who gave us many helpful hints! We have enjoyed Lokelani in the past and thought we would try a different unit. Superb location at waters edge with sandy beach close by. Unit had air conditioning upstairs which we used minimally as the west side of the island is always windy. The negative..phone didn't work and was not repaired while we were there and the fridge leaked water when self defrosting twice a day. Also bbq smoke from another resort next door, permiated the air of our lanai during the evening supper hours. All in all we made the best of everything as we enjoy Maui very much! This was our first time staying at Lokelani and we loved it. This will be our go to place to stay from now on. The condo was great and stocked with everything you would need. And you can't beat the view. 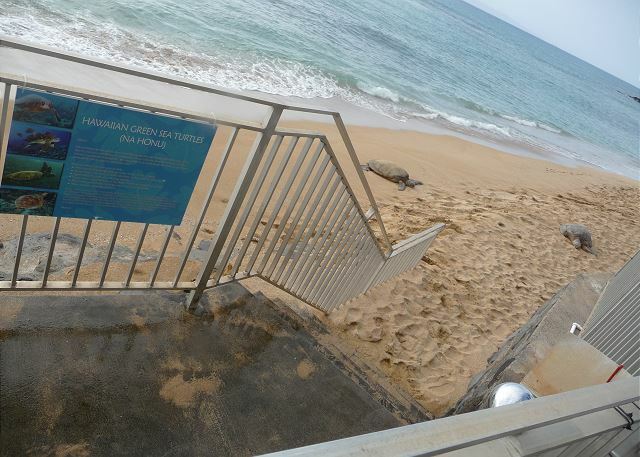 We had sea turtles come up on shore a couple times during our stay and saw them in the water everyday. Very cool! We are already planning our next trip to Lokelani!